If you are noticing symptoms of hearing loss, it is important to see an audiologist to determine which type you have. Hearing loss is a very common problem that many people often overlook until it’s too late. 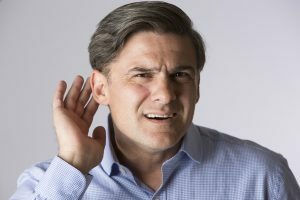 If you believe that you are suffering from hearing loss, it is important to see an audiologist so that they can tell you which type it is and provide the correct treatment. The two main types of hearing loss are sensorineural (SNHL) and conductive. Here is what you need to know about the two main types of hearing loss. SNHL is also referred to as sensory, cochlear, or inner ear hearing loss. This type is a result of damage to the hair cells that exist within the hearing nerve and the cochlea. Age-related hearing loss falls into this category because damage to the cochlea naturally occurs as we get older. Other possible causes of SNHL are loud noises, infectious diseases, head injuries, and even just genetics. Since SNHL is a result of nerve damage, it is an irreversible problem, but can be helped and treated with hearing aids. Conductive hearing loss occurs when sounds can’t get through to the inner ear. This can be a result of a blockage in the outer or middle ear or can be caused by a ruptured eardrum. Blockages to the ear can be caused by a natural malformation of the ear structure itself. This is typically because of Otosclerosis which is a genetic condition that causes the bone in the inner ear to be overgrown. Other causes include fluid build up as a result of a cold, allergies, impacted earwax, ear infections, or a foreign object being present in the ear. This type can potentially be corrected with a surgery. If surgery does not work or isn’t a feasible option, hearing aids can be used to help people improve their hearing. Are You Suffering From Hearing Loss? Contact Bay Area Audiology Today! This entry was posted on Friday, July 27th, 2018 at 9:51 pm. Both comments and pings are currently closed.